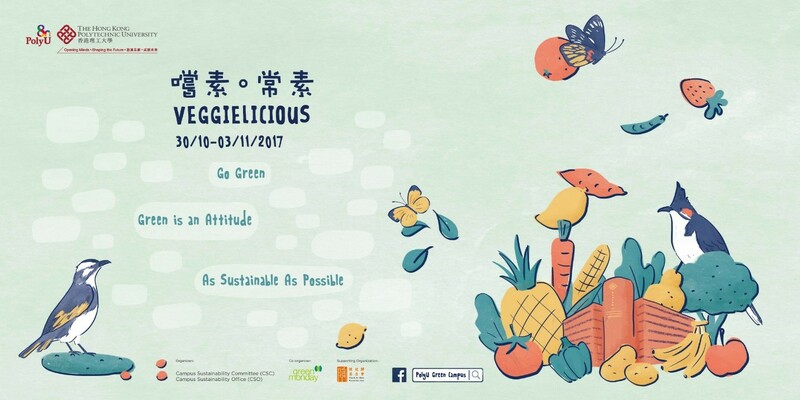 VeggieLicious is an annual veggie promotional event jointly organized by the Campus Sustainability Committee and Campus Sustainability Office. Inheriting the success in the last two years, a series of activities will be staged on campus between 30 October to 3 November this year to call for attention on adopting green dining habits. This green event will be an excellent opportunity for all PolyU students and staff to know more about how a plant-based diet benefits our health and the environment. More details about this event can be read from VeggieLicious 2017.